Tigers are my passion. It is my pleasure to welcome you to the Zoe Foundation. 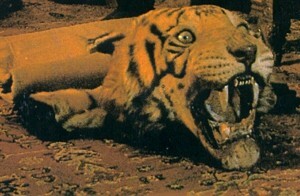 The tiger is still losing ground. Globalization, habitat encroachment, loss of prey, and poaching have exacted a devastating toll on one of the world’s most mystical, powerful, and magnificent creatures. I invite you to read my papers on the tiger’s plight. It’s possible the information might move you to take some action on their behalf. At the very least, you’ll better understand my position on how the species can realistically be saved before extinction. I’m going old school and seeking patrons at the Platinum, Gold, Silver and Bronze levels for the Le Mystère de la Fuquay-Varina project. After reading over my Patron Opportunities, please get in touch. I would like to meet with you personally to show you my work and discuss this project. Goal one. Focus awareness on the tiger’s march toward extinction. There are fewer that 3,900 (figures vary) remaining in the wild. Habitat loss and poaching are taking away one of the earth’s most beloved animals. Goal two is the commission of a bronze bas-relief sculpture of Dr. Bleymen with two of his favorite tigers, Romeo and Mini. 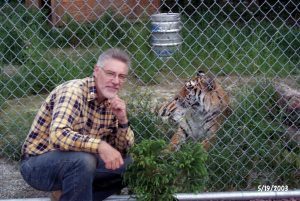 Dr. Bleyman dedicated his life to saving endangered species with a particular interest in the tiger. I believe his efforts should be honored and never forgotten. A location for the bas-relief will be decided at a later date. Miniatures will be made available to aid our fundraising efforts. 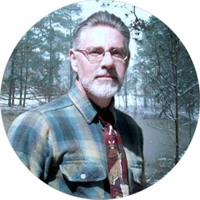 Goal three is the establishment of the Dr. Michael Bleyman Save the Tiger Fellowship. College seniors who intend to further their education in the field of conservation genetics or zoology will be invited to apply. Particular interest will be paid to students who can demonstrate how their pursuit will help save the tiger. A select committee will decide the recipient. The fellowship will be $10,000. 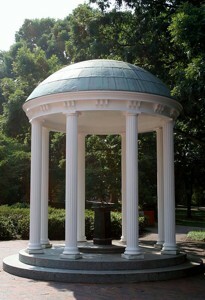 We will announce the fellowship application via this Web site, social media, e-mail, and press releases. 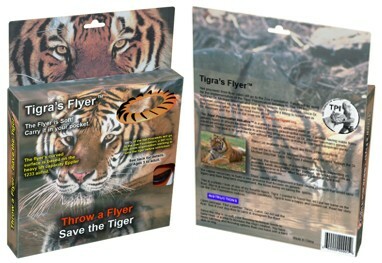 Continue with our Tiger Preservation Initiatives™. (1) Funds raised will enable us to catalog generic tigers in private facilities, that could, if all else fails, be bred to preserve the species. DNA would be used to identify unrelated pairs. 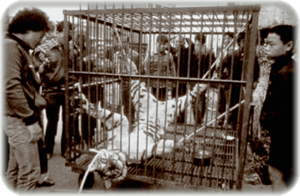 (2) Sponsorship of selected tiger rescues. Depending on available funds we would work with existing preserves in their effort to save tigers that are or were being kept in deplorable conditions. Tigra is a good example. 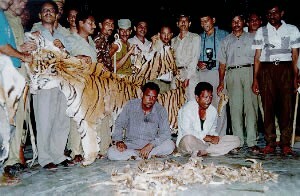 (3) Identify in-situ programs that are benefitting wild tigers and help with their successful implementation. 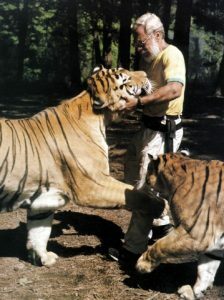 The Tiger Preservation Initiatives (TPI) logo features Dr. Michael Bleyman and one of his favorite tigers – Romeo. That photo was taken by Bob Donnan at the Carnivore Preservation Trust. Since Dr. Bleyman devoted his life to saving the tiger, I thought it fitting to honor him. If you love tigers, share you thoughts on Twitter – @zoetigers. If the tiger can be saved, we will need to get young people involved. I designed this flyer to raise awareness and funds for the TPI. Check it out!